In the last 20 years since the National Lottery started, just by playing the lottery, players have raised £31 billion towards UK based projects and causes. The Just Imagine Campaign by the Lottery Good Causes is to raise awareness of the difference this funding has made for different communities and say thank you to the players that have made it possible. You can watch the promotional video for the campaign, starring actor Ricky Tomlinson, here. The campaign asks people to imagine what life would be life without National Lottery funding, and in January 2014 the campaign produced three postcards, each missing an iconic UK landmarks: the Angel of the North, Clifton Suspension Bridge and Cardiff Castle. 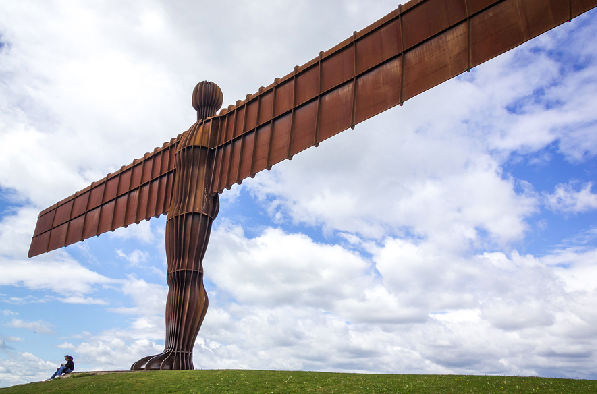 The Angel of the North would not exist if were not for National Lottery funding. The funding made the entire art project possible, and it’s now one of the most recognizable landmarks in the UK, seen by 90,000 people daily. The National Lottery contributed £600,000 to improvement works on Clifton Suspension Bridge and a new learning centre to coincide with the 150th anniversary of the bridge. A total of £6 million from the National Lottery has gone to the restoration and preservation of Cardiff Castle. In 2008, funding also allowed the creation of an interpretation centre for visitors. Cardiff Castle is one of Cardiff’s main attractions, and with the city attracting millions of annual visitors a year the upkeep of this historic landmark is essential. National Lottery funding supports people from all walks of life, from small community projects like Bristol based Misfits Theatre Company to Sir Chris Hoy who was funded, alongside many other Olympian and Paralympians, to ensure he could continue training and commit to cycling as a career, as well as receive the coaching and facilities he needed. In this promotional video from the campaign, musicians walk out of their orchestra one by one to highlight how National Lottery funding has made it possible for children to learn musical skills they otherwise wouldn’t have had the opportunity to do.